Is this the ugliest place you can imagine? 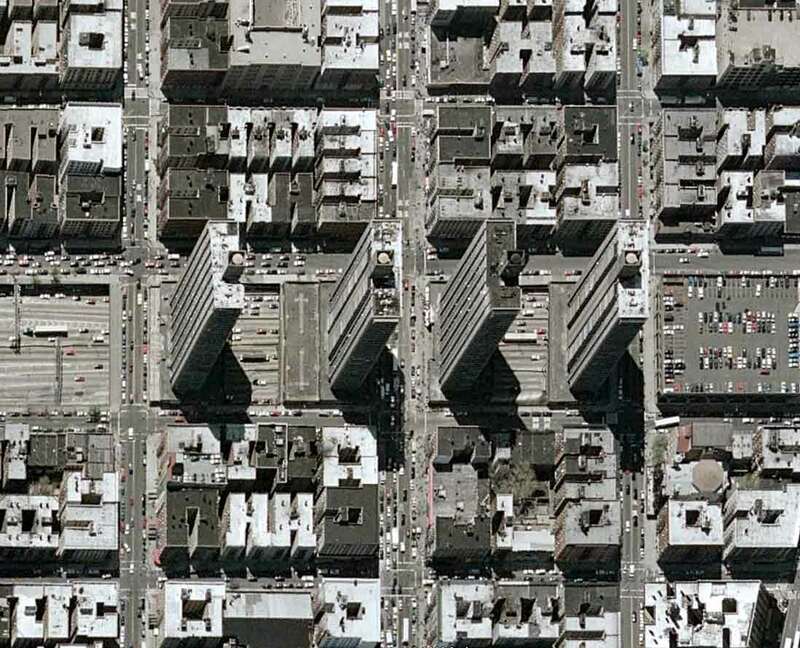 It’s high up in Manhattan past Harlem and I found it on Google Earth while researching a New York trip. It looks like a circuit board. A Street View search of the surrounding low level buildings shows what appears to be a liveable urban environment but this looks like the kind of futuristic hell the followers of Le Corbusier wanted for us. Gliding over New York on Google Earth (it’s so like flying!) I realised a lot of the buildings spelled out letters. There doesn’t seem to be a complete alphabet there but I did manage to make one word. I love this Greg. I would have agreed with you that the first photo is the ugliest place on Earth until seeing Griff Rhys Jones’ show about Hong Kong last night. It featured several helicopter shots of outlying areas which featured city residential districts that looked like childrens’ interlocking toy blocks. Hell is about right.